We have a vast amount of experience designing, fabricating, assembling; even disassembling and retrofitting piping systems. 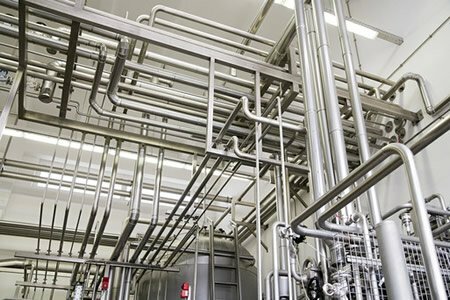 There is a chance that you and your family are already relying on some of our food-grade process piping systems, through our clients like Pepsico, Nestle, Niagara, and others. If you are ready to move your facility, repair your existing piping or need to add piping to your location, we can help you customize it to fit your available space perfectly. Fill out the attached form to get more information or schedule your consultation. For information on Process Piping, click here to see our blog.